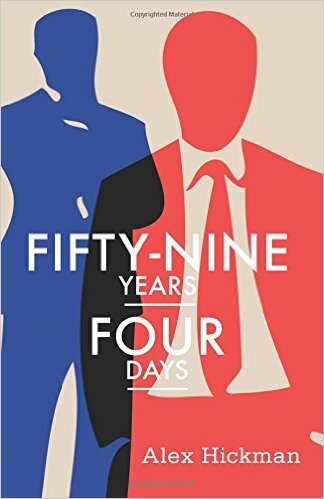 My novel describes four days in the life of Simon Tindall, a British banker and MEP (he is, or rather was, a close ally of Tony Blair), who discovers he has only a few months to live. Dazed and distraught, Simon begins to evaluate his life, and weigh his successes and failures. Unable to find intimacy with his wife, he flees to Frankfurt, into the arms of Bettina, his German mistress, and into the midst of a global crisis – Europe’s financial system is collapsing, Greece is on the verge of being forced out of the Eurozone and the world’s most powerful countries are nervously monitoring events in Germany’s troubled financial centre. The West is rocked, something Simon cares deeply about but can do nothing to change. Simon and Bettina both know this might be their last week-end together, but can their pact to “pretend” hold back the ghosts and memories which haunt them both? Can they really hide from Simon’s looming death, or from the Euro crisis, which – right at the end – re-unites Simon with his old friend Tony Blair. Fifty-Nine Years Four Days describes the rapid decline of a baby-boomer, someone blessed by good fortune and good living yet unhappy, and haunted by a deep sense of disappointment. I’d love you to read it, and to hear what you think. A print version will follow. Al – U DOG! I will buy a kindle copy today, so will Em, I will get Simon to buy one to – well done mate! FOR INSTITUTIONAL CLIENTS ONLY – DO NOT FORWARD TO NON INSTITUTIONAL CLIENTS. Congratulations Alex. Another publication – that’s a great achievement. Where do you find the time? !